On behalf of New Mowasat Hospital, I am very pleased to extend a warm welcome to you. New Mowasat aims to provide expert healthcare to patients by utilizing state-of-the-art medical technology. Our staff is committed to delivering professional services and outstanding hospitality. We are constantly striving to bring the best of medical advancement and service quality to our patients. Towards this end, I am pleased to announce that the New Mowasat Hospital has been recently accredited with Joint Commission International and Accreditation Canada International. 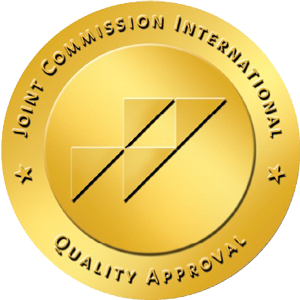 We are the first private hospital in Kuwait to achieve JCI recognition and the only hospital accredited by two highest accreditation; Accreditation Canada and Joint Commission International. This gives us a sense of accomplishment and also sends out a strong message to our patients that we are committed to continually comply with the highest level of quality care and patient safety standards as set by the regulatory agencies. We are optimistic about the future and committed to our vision of being distinguished as a leader in delivering the highest quality standards of healthcare to our patients. Thank you for visiting our website. I encourage you to use this website to familiarize yourself with NMH, its clinical departments and the information you need to know while making appointments with our doctors. I am confident that you will find all the required information about our clinical and non-clinical services here. Do write to us with your valuable feedback & suggestions for further improvement.